This section allows you to create a list of trusted IP addresses. 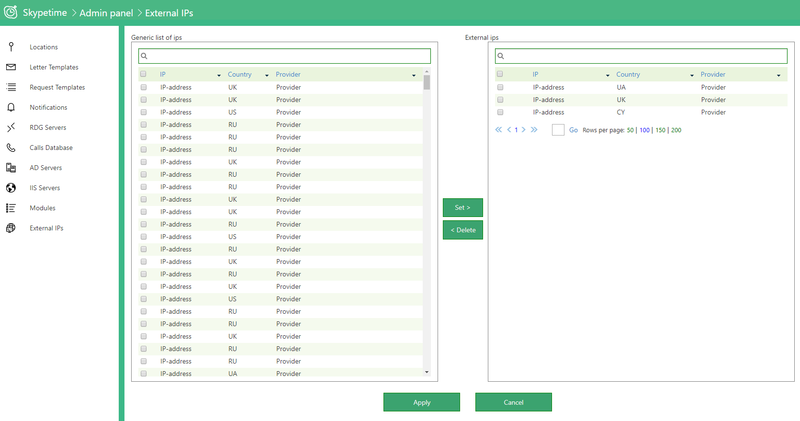 The general list of IP addresses includes all the IP addresses from which the users connected to the internal resources of the company. External IP addresses are a list of trusted IP addresses, user activity from these addresses is safe. 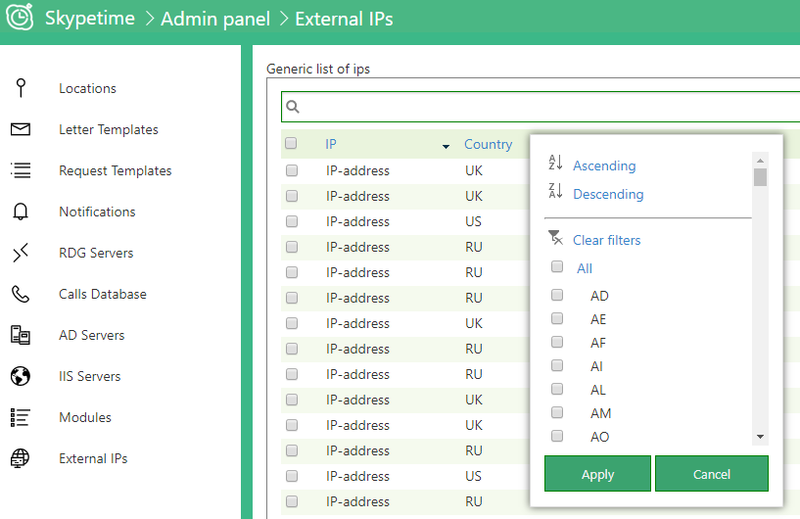 Each list has a filter for: IP, country, provider, which allows you to limit the amount of information displayed. To transfer the IP-address to the trusted list (External IP-addresses), note IP and click on the button “Set ->”, and after the changes are made, click on the “Apply” button.